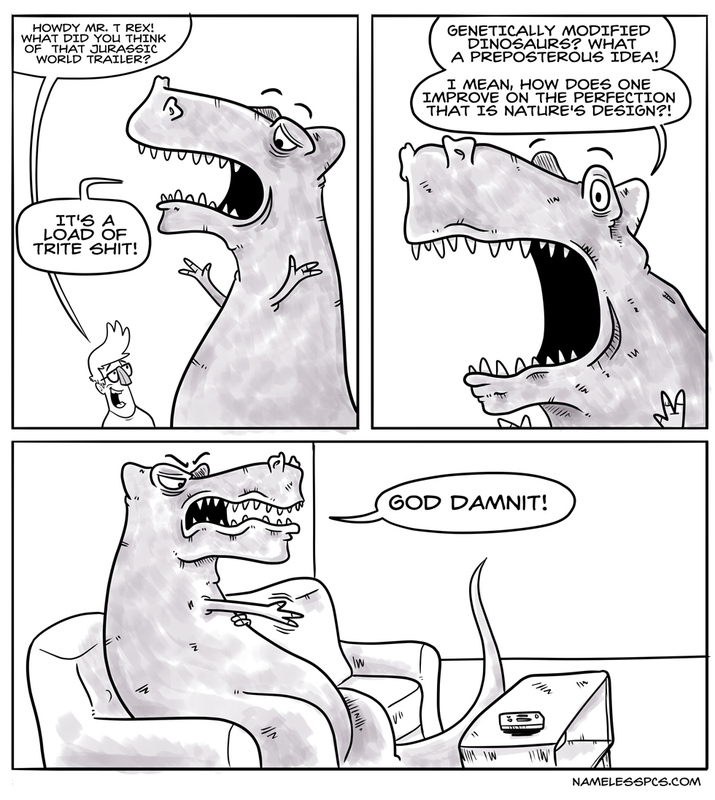 Genetically modified dinosaurs! Thats scary, unless they are puppy sized and could eat the grass off your yard so you wouldn’t have to mow. Holy crap! Modified dinos would be awesome!